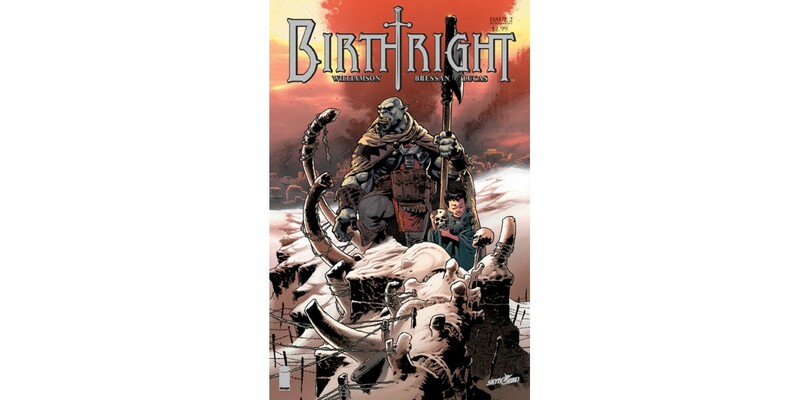 Bestselling writer Joshua Williamson (NAILBITER, GHOSTED), artist Andrei Bressan, and colorist Adriano Lucas have forged an epic fantasy riddled with plot twists in BIRTHRIGHT and fans can’t get enough of the broad-scope adventure. This second issue has sold out instantly at the distributor level and is being fast-tracked to a second printing in order to meet customer demand. BIRTHRIGHT begins with a game of catch in the park between father and son and turns into a parent’s worst nightmare. For the Rhodes family, losing their son was the most devastating thing that could’ve ever occurred… but it couldn’t prepare them for what happened when he returned. In issue #2 readers are left to wonder: Where is the line between fantasy and delusion? In the aftermath of the previous issue, the Rhodes family is looking for answers… but nothing is what it seems. BIRTHRIGHT #2 remains available for purchase across all digital platforms, including the Image Comics website (imagecomics.com), the official Image Comics iOS app, Comixology’s website (comixology.com), iOS, Android, and Google Play. BIRTHRIGHT #2, 2nd printing arrives in stores on and can be pre-ordered with Diamond Code SEP148363. BIRTHRIGHT #3 hits stands on 12/3 and can be ordered with Diamond Code OCT140730.